So our next installment in the Horn and Antler series is Elk Antler and Bison Horn. The Bison Horn is piano black, with white and grey marbling that is more apparent that what we saw in the Water Buffalo Horn. Though the engraving did turn a similar golden color. The Elk Antler is bone white. Some sides took on a glassy polish, other are full of spongy holes that allowed the blood to flow while the antler was still growing giving the dice a pitted raw appearance. The black engraving is a nice contrast to the antler’s bone white. This stuff could pass for bone at a glance. In this run we managed to get one full 10 dice set of Bison Horn and Elk Antler each, along with 8 Elk Antler d20s and 13 Bison Horn d20s. 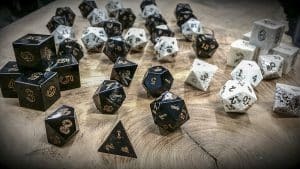 You can snag a full set of a single d20 below. An Elk as it turns out should in fact be called a Moose. We Americans got that all sorts of backwards when we first set foot on the continent. In Europe they call Moose, Elks, and since the North American Elk, looks similar to a European Moose (which we know as an Elk), they called it an Elk, and later named the North American Elk a Moose. The they started calling the Asian Elk and Waatabi, because, well you know we messed up the whole Moose/Elk thing. And then it gets even more confusing. 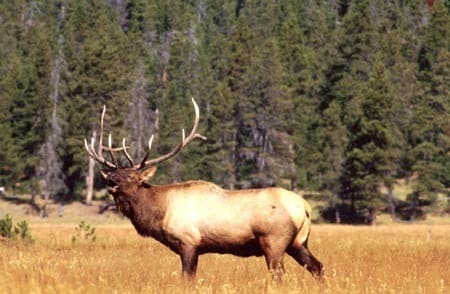 Suffice to say, Elk != Moose, unless of course Moose == Elk. You can read more about Elk here. In short, Elk are large creatures with giant antlers they use in mating rituals which boil down too some loud crazed bugling, slobbering snorts, and general rowdiness culminating in the bashing of skulls between males. The last male standing gets the girl. After the rut, or mating season, the males shed their antlers and start growing a new set. These dice were made from a 3 foot long shed found in Colorado. This may sound like a big antler, but in the world of the Elk, this buck was still a baby. As to the Bison. That’s the creature we call a buffalo in America. Though it is of no real relation to buffalo in the rest of the world. It’s actually a large cow like beast with a comically large furry head. They used to roam the vast American interior in equally vast herds until we hunted them to near extinction. Before then the American Indians used the Bison for everything from food, to tools, to lodging, and clothes. 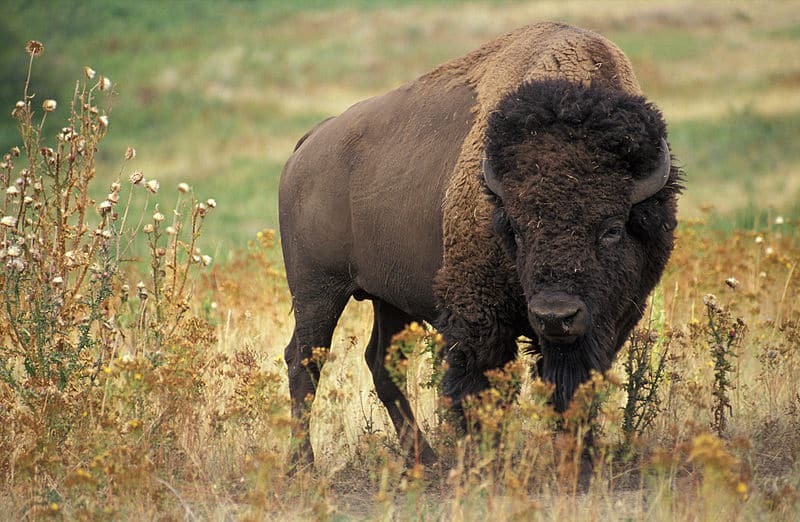 Today, the Bison is raised as food right alongside cattle on many ranches. (Buffalo burgers and steaks are quite tasty and low in fat.) It has been successfully reintroduced to many parts of the United States, so it is no longer endanger of extinction. You can read more about the Bison here. Damn, I’m trying to decide between one of these bison horn d20s or some of the Katalox six siders. They’re beautiful, and along with bone, my preference for dice material. I am curious about the high price tag, though. Neither is made from a rare material, like some of the more exotic woods you offer. Are you able to use the CnC to rough these out or do you have to do them completely by hand? The extra hours of labor might justify the price tag. You make beautiful dice, and the horn, the bristlecone, and the bog oak would be the ones I’d be willing to drop a couple hundred on, but never twice that.